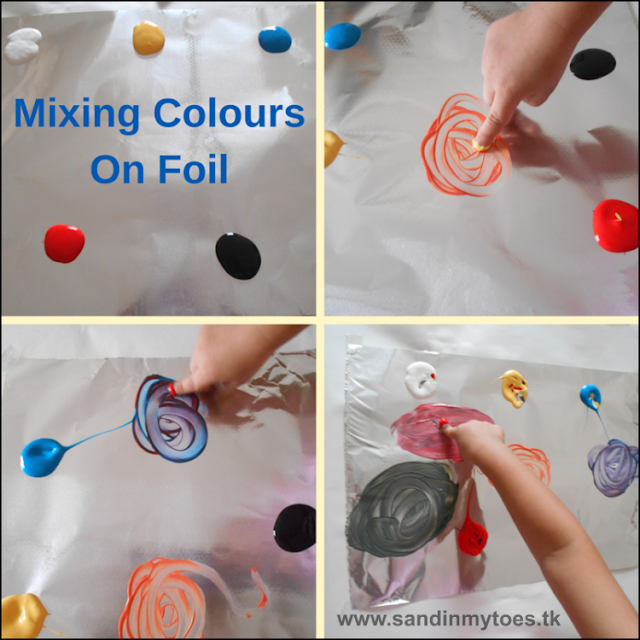 We recently tried finger painting on aluminium foil, and Little Dude loved it! So I extended the activity to mix colours on foil. 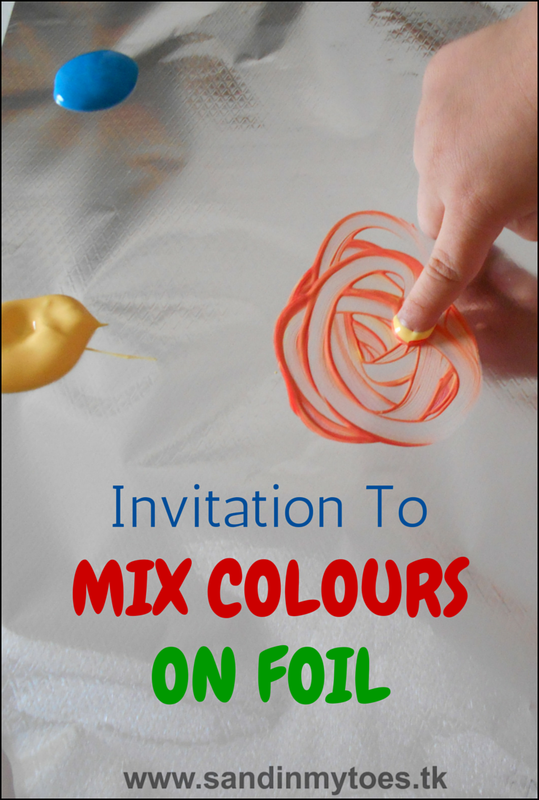 This is a great way to explore how new colours are formed, so it's suitable for both toddlers and preschoolers. 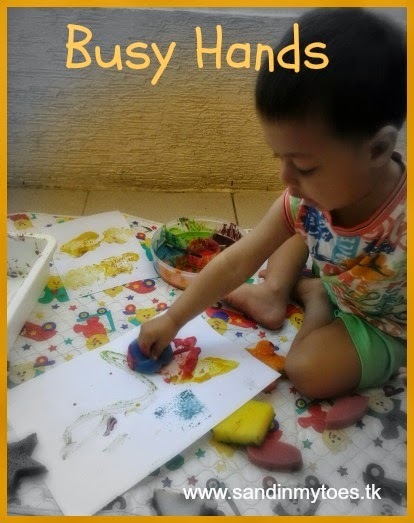 We used ready finger paints, but you can also use tempera paint, or even homemade finger paint. I stretched out some foil on a table, and taped down the corners. Then, I placed five dots of colour - red, blue, yellow, white, and black - towards the edges. Once this was set up, I just let Little Dude decide what to do. Thankfully, he didn't make one big brown blob as I was worried he would! 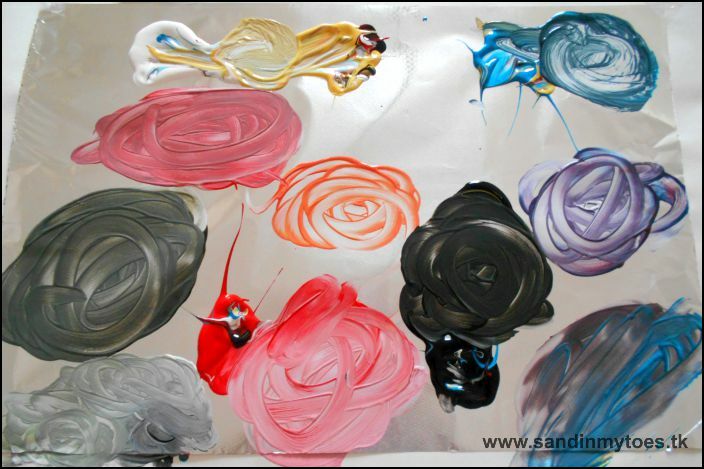 He mixed different colours, and I showed him how he could make dark and light shades with the black and white paint. I think he enjoyed doing this activity. and found it interesting to see new colours form. I had placed a paintbrush, and sponges for painting, but he only used his fingers! If you liked this, you may also want to see our Melting Goo colour mixing activity.